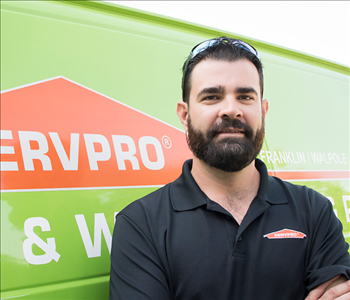 John and Kathy Moschella opened the doors of SERVPRO Stoughton / Sharon in 1993, then purchased SERVPRO Franklin / Walpole in 1999 several years later they purchased SERVPRO of the Bridgewater’s. 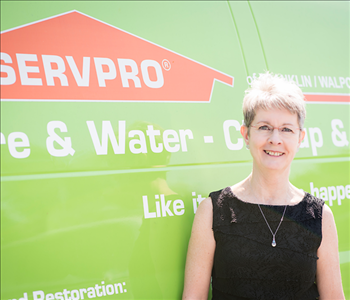 Diana has been an Office Manager of SERVPRO of The Bridgewaters - Franklin/Walpole, Stoughton/Sharon for 10 years. Diana has more than 17 years experience in the restoration industry. 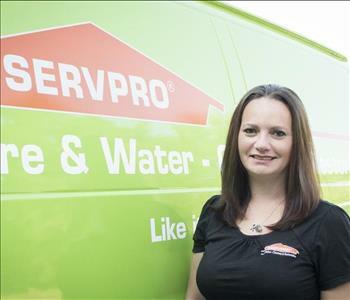 She started her SERVPRO career as a Crew chief and has worked her way up to Office manager. She enjoys helping others in their time of need. Diana and her fiancé have 5 children between them. Down time doesn't exist with that many kids. She is usually found hanging around a basketball court, baseball/softball field or horse stable. James (JT) is our Production Manager. He has over 9 years of experience in the restoration industry working on everything from large commercial projects to residential restorations. 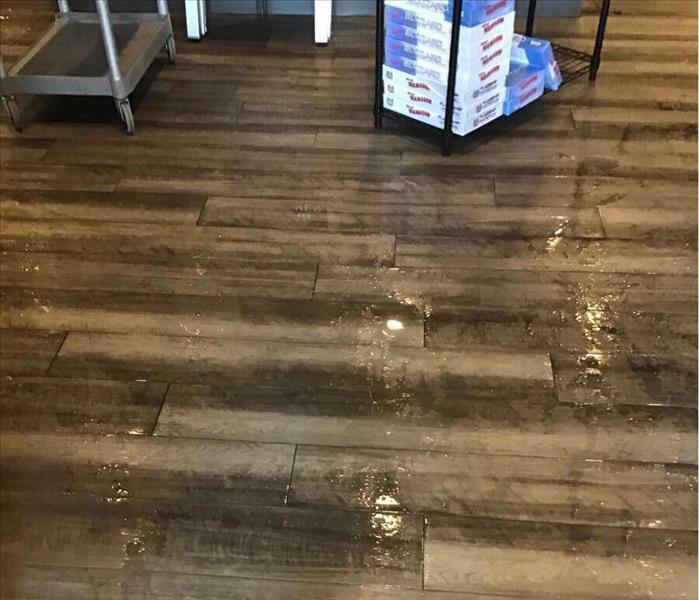 IICRC Certifications: Water Damage Restoration Technician(WRT), Trauma & Crime, and Applied Structural Drying Technician(ASDT) As well as lead certified and OSHA trained. He provides outstanding customer and production services to our clients in their time of need. James is married and has two beautiful daughters and a son. Brian is our Production Coordinator. He has 7 years of experience. He provides outstanding customer service to our clients in their time of need. 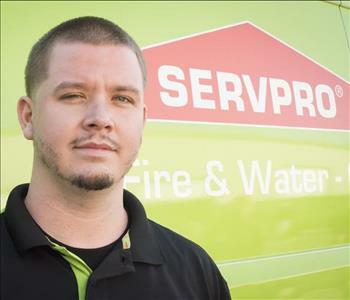 Brian has completed the Institute of Inspection Cleaning and Restoration Certification (IICRC): Water Removal Technician (WRT), Lead certified, and DryBook. Brian and his fiancé Ashley have 2 gorgeous daughters. Dana is a Crew Chief. 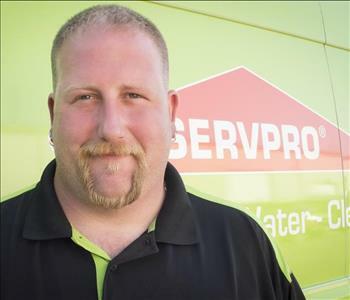 He has over 5 years of experience in the restoration industry and excels in the restoration of Water damage. He is IICRC Certified in Water Damage Restoration(WRT) as well as Lead safe, and DryBook. Dana and his wife have two sons. He enjoys his church and family time. 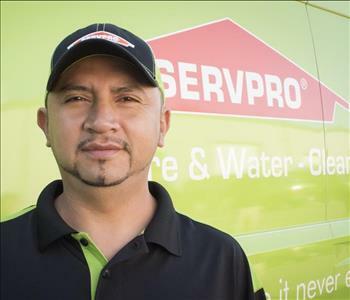 Pedro is a Crew Chief and he has over 10 years of experience in the restoration industry. He is one of our top cleaners and provides excellent customer service. 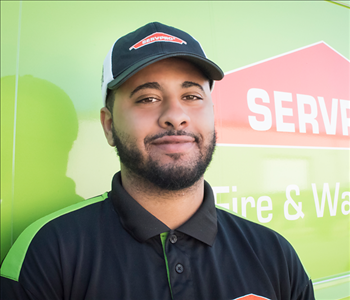 His outstanding availability after-hours has made him a priority responder for our franchise during after-hours emergency losses. 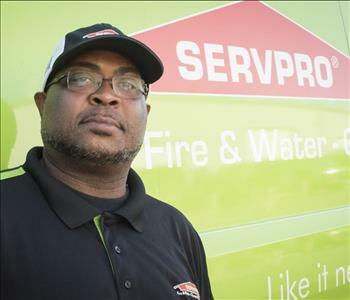 He is SERVPRO certified in ETCP. Pedro is happily married with two children. Eddy is a Crew chief with over 6 years of experience in our industry. He is one of our top water mitigation experts. Eddie has completed the Institute of Inspection Cleaning and Restoration Certification (IICRC):WRT. Eddy and his girlfriend have a beautiful baby girl.